Draymond Green was largely inefficient in Wednesday's victory over the Rockets. He shot 1-for-5 from the field and 0-for-2 from three-point range. In 37 minutes, Green finished with two points, five rebounds, five assists, one steal, one block, and four turnovers. DeMarcus Cousins had a great game in Wednesday's victory over the Rockets. He shot 11-for-16 from the field, 1-for-2 from three-point range and 4-for-4 from free throw line. 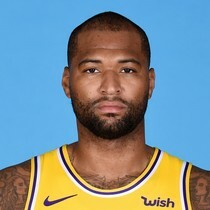 In 32 minutes of play, Cousins finished with 27 points, eight rebounds, seven assists, two steals, and four turnovers. Curry struggled a bit in Wednesday's victory over the Rockets. He shot 8-for-20 from the field, 3-for-9 from the three-point line, and 5-for-5 from the free throw line. In 35 minutes of play, Curry finished with 24 points, four rebounds, five assists, two steals, and one turnover. DeMarcus Cousins struggled in Tuesday night's loss to the Celtics. He shot 4-for-12 from the field, 0-for-5 from three-point range, and 2-for-3 from the free throw line. In 25 minutes, he finished with 10 points, nine rebounds, four assists, and four turnovers. Draymond Green played poorly in Tuesday night's loss to the Celtics. He shot 2-for-3 from the field and 1-for-2 from three-point range. In 25 minutes, Green finished with five points, six rebounds, five assists, one block, one steal, and two turnovers. Stephen Curry had a solid game in Tuesday night's loss to the Celtics. He shot 8-for-16 from the field, 4-for-10 from three-point range, and 3-for-3 from the free throw line. 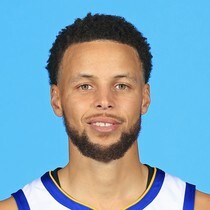 In 31 minutes, Curry finished with 23 points, four assists, three rebounds, one steal, and four turnovers. Kevin Durant struggled in Tuesday night's loss to the Celtics. He shot 5-for-16 from the field, 0-for-5 from three-point range, and 8-for-10 from the free throw line. 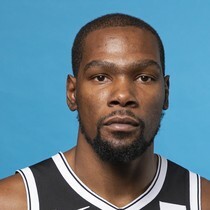 In 31 minutes, Durant finished with 18 points, two rebounds, two assists, one steal, and five turnovers. DeMarcus Cousins posted a double-double in Thursday's victory over the Kings. He shot 6-for-12 from the field, 1-for-4 from three-point range and 4-for-4 from the free throw line. In27 minutes, Cousins finished with 17 points, 10 rebounds, three assists, one block, and two turnovers. 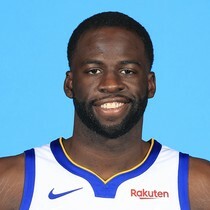 Draymond Green played well in Thursday's victory over the Kings. He shot 3-for-6 from the field, 3-for-5 from three-point range, and 3-for-4 from the free throw line. In 34 minutes, Green finished with 12 points, eight assists, six rebounds, and one turnover.